Ah, the new year is upon us. And what better time to reflect on our past year? 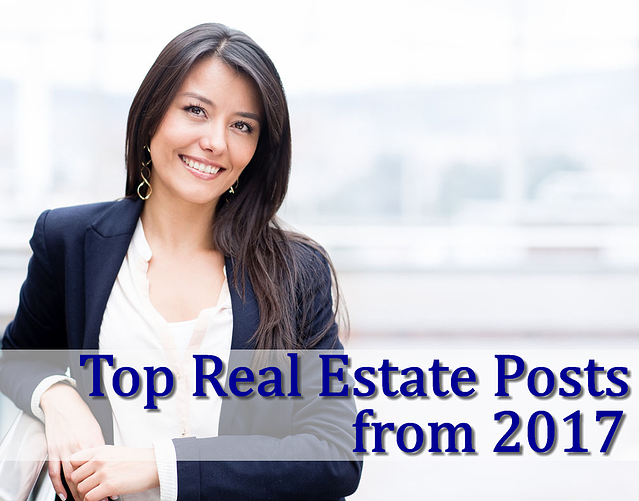 These are the 5 most popular real estate blog posts from Z57 in 2017. Here is a fun little tip for improving your real estate blog: people love reading lists. They are easy to digest, quick, and straight to the point. So that is exactly what we are giving you! Our list also contains lists. It is a struggle with entrepreneurs to balance their business and their social media marketing. It seems like an easy task to accomplish, but can be overwhelming when you put everything into it to find the results not being reciprocated by your efforts. There is a smarter way to do it. This article well help you earn revenue through Facebook! It is no surprise that another one of our top 5 most popular posts was also about social media. Real Estate agents recognize this is an area of their real estate marketing that needs they need, but might need some outside help to boost their results. There is a pattern with what real estate agents are reading on our blog: Their pain points. What problem do they need solved? Here is a something that will help solve a particular common want (or need?) in an agent's business: How do I get more real estate seller leads? The title explains it all. What should be in your email signature? Spoiler alert: "Sent from my iPad" should not be one of them. The last ailment that real estate agents are trying to cure are unqualified leads. How many times do you get an internet lead, and they never go anywhere? That is the nature of interent leads, but this article will help better qualify those leads. Make sure you are ready for 2018! Download a free Business plan to help achieve your goals!